There was a proposal to set up 47 additional CCTV control rooms at various stations in Tamil Nadu and total of Rs 67.94 crore Nirbhaya Fund is going to be utilised for it. The Madras High Court was today informed by Railway Police that Rs 67.94 crore under Nirbhaya Fund would be utilised for installing CCTV cameras at various stations under the jurisdiction of Southern Railway. The high court had on June 28 directed the Tamil Nadu government to submit a report on installing CCTV cameras at important places, including railway stations, in the wake daylight murder of 24-year-old woman IT professional at a city station in June. Reply affidavits were filed on behalf of the state government, Home Department and Railways. The bench which had directed amicus curie to go through the replies filed by the state government and Railways after scrutinising. Senior Divisional Security Commissioner of Railway Police Force, Chennai Division, said in the affidavit that already electronic surveillance has been put in use and CCTV cameras with well equipped control rooms have been set up at seven important railway stations including Chennai Central with integrated security system. Noting that there are 158 railway stations at Chennai Division of the Southern Railway, the affidavit said already 10 railway stations are provided with CCTV cameras and 82 stations are earmarked for provision of video surveillance system. It further said there was a proposal to set up 47 additional CCTV control rooms at various stations in Tamil Nadu and total of Rs 67.94 crore Nirbhaya Fund is going to be utilised for it. 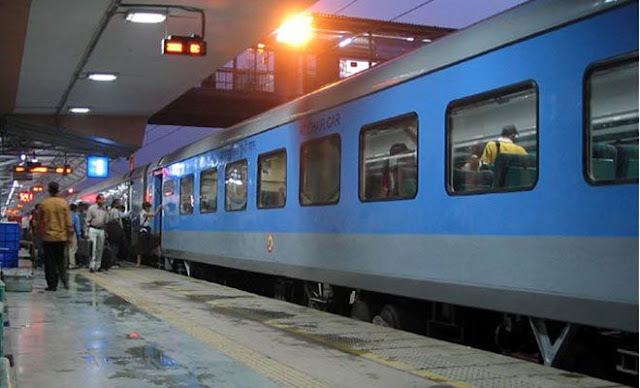 It further said four security control rooms are existing in various divisions all over Tamil Nadu which are effectively functioning round the clock co-coordinating with all RPF posts and out-posts within the respective divisions. The state government submitted that it was made mandatory as a condition for issuing licence under relevant provisions of Municipal Corporation/Municipal Acts and Rules and the Tamil Nadu Urban Local Bodies (Installation of CCTV units in Public Buildings) Rules 2012 and Under section 347 of the Chennai City Municipal Corporation Act 1919 to install CCTV’s in all public buildings. The police department has identified 72,629 important places such as intersections in roads and other public places including the public buildings after consulting the stake holders for installation of CCTV cameras throughout the state. It further said the government had already sanctioned Rs 12.21 crore for setting up modern control rooms. The bench posted the matter for further hearing to December 7.